Create a Local Phenology Program in your community to generate local phenology enthusiasm and connect like-minded organizations! Local Phenology Programs (LPPs), or organizations which engage the community in phenology monitoring with Nature's Notebook, exist to explore bud and flower break, pollination, fruit harvest, leaf fall, and more. These programs are located at places like wildlife refuges, local and national parks, and nature centers across the country and take some effort to establish, nurture, and maintain. LPPs are a wonderful way to connect community leaders in science, research, and management to community leaders in education. Anyone who hosts an official Nature's Notebook effort for an LPP is known as Local Phenology Leader (LPL). Read through our Local Phenology Program Planning Guide to help you get started. Regardless of whether you are responsible for research, land management, education or outreach, you will benefit from creating an LPP to meet your organization's needs. Let us know if you have questions or need help at groups@usanpn.org. What phenology-related question do I want to answer? In order to create a sustainable monitoring program, first, decide what question you could answer with phenology data. Monitor life cycle changes of a single species (e.g. monarchs) or select multiple species (e.g. monarch and milkweed) to study community changes. With over 1200 plant and animal species to choose from you are likely to find what you need on our species list. If you need help determining which species to monitor, consider joining a Campaign - you and your observers will receive periodic updates from our Outreach staff with preliminary findings. Does Nature's Notebook meet my needs? The most effective and sustainable Nature's Notebook monitoring programs are designed to meet a known goal. If Nature's Notebook can help you meet a need you will have a better chance of success. Get started by completing our Needs Assessment Form and review our Program Planning Resources designed to help you brainstorm your goals and what you need to meet them. Every effort is a little bit different! Need help thinking about what to do first? Consider taking our annual 3-week, 10-hour, Local Phenology Leader Summer Short-course. We will show you around the website, introduce you to the resources available for creating sustainable programs, and help you think about what your outcomes for using Nature's Notebook might be. Ready to get started with monitoring? Once you've thought about your needs, goals, and resources, request a Group. A Group allows multiple Nature's Notebook observers to monitor phenology at the same shared locations on the same plants or animal species. Once your Group is set up, other members will be able to join it to have access to the sites, plants, and animals that you set up. If you live in a community where there are multiple organizations hosting Groups in Nature's Notebook, consider linking them together in a virtual Phenology Trail. Linked together, these Groups and their sites provide participants with places to visit, enjoy nature, collect data, and learn about supporting organizations. Phenology Trails are also excellent community engagement tools, designed to develop collaborative programs for organizations which can be used to answer regional science and management questions. 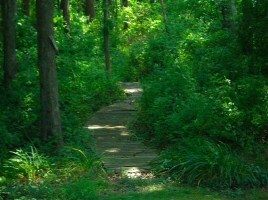 View our Phenology Trail planning resources to help you get started. Want to become a Certified Local Phenology Leader? Certified Local Phenology Leaders are LPLs who have taken the National Coordinating Office's online LPL Certification Program. The 10-week,80-hour course helps you to create an LPP, offers guidance in creating education, science, and management materials, and encourages participants to build Phenology Trails. Certified LPL accounts are marked in the database because they have passed the criteria for providing training to others based on the USA-NPN monitoring protocols. Courses are held twice a year, in the spring and fall. For more information, click on the link below. Using Nature's Notebook in a formal classroom connects students to real-world science, regardless if you teach primary, secondary, or higher education. Before you begin you may wish to read about our Education program and available Nature's Notebook activities and lessons. Think about engaging multiple years of students and the data that can be used, gathered from their collective efforts. Nature's Notebook in the formal education classroom works best if students observe their own plants more than one time - a semester or year are recommended for a better learning experience and produce higher-quality data contributions. We can recommend other options for citizen science engagement if you don't have that amount of time. 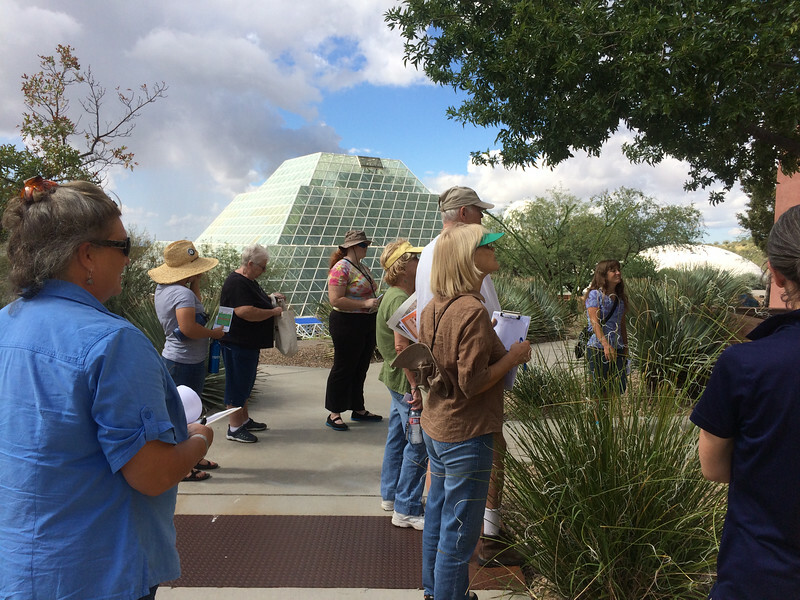 The Tucson Phenology Trail connects like-minded organizations together through a shared community program, encourages people to engage in active, outdoor education, and ask and answer local science, management, and climate questions.